Mary Abby van Kleeck was born on June 26, 1883 in Glenham, New York, to Eliza Mayer and Episcopalian minister Robert Boyd Van Kleeck. (Mary van Kleeck changed the capitalization of her last name in the 1920s.) Following her father’s death in 1892, her family moved to Flushing, New York, where van Kleeck attended Flushing High School. She entered Smith College in the fall of 1900, became involved in the Smith College Association for Christian Work, and began a lifelong affiliation with the YWCA. Van Kleeck earned an A.B. from Smith College in 1904. In the fall of 1905 van Kleeck began working as a fellow for the College Settlement Association on Rivington Street on New York’s Lower East Side. She worked with several women reformers, attended sociology classes at Columbia, and researched factory women and child labor. Her work with the College Settlement Association, and later as the industrial secretary of the Alliance Employment Bureau, caught the attention of the Russell Sage Foundation. The Foundation began supporting her research, and in 1910, hired her as the head of its Committee on Women’s Work. Van Kleeck’s pioneering research into the fields of artificial flower-making, millinery, and bookbinding, helped pass legislation limiting night work for female workers and led to an extension of van Kleeck’s role at the Russell Sage Foundation. Beginning in 1914, she taught at the New York School of Philanthropy and in the 1920s, at Smith College’s School for Social Work. In 1916, the Foundation’s Committee of Women’s Work expanded to create the Division of Industrial Studies, later renamed Department of Industrial Studies (DIS). Mary van Kleeck was asked to serve as director of the new division, a title she would hold for over forty years, except for a brief period of time during World War I. As one of the most influential figures in women’s employment, van Kleeck joined the Army’s Ordinances Department in early 1918, creating standards for the employment of women in war industries. She served on the War Labor Policies Board, and with strong backing from the Women’s Trade Union League, she was named the director of the U.S. Department of Labor’s Women in Industry Service, the precursor of the U.S. Women’s Bureau. Van Kleeck held the position only briefly, before handing it over to the assistant director, Mary Anderson, and returning to the Russell Sage Foundation in New York to care for her dying mother. Although van Kleeck was slated to be the first director of the Women’s Bureau, Mary Anderson took over van Kleeck’s position before the official creation date of the Women’s Bureau, and therefore Anderson became its first director. After her mother’s death, van Kleeck returned to her studies of labor, employment, and industry at the national, state, and local levels. In 1921 Commerce Secretary Herbert Hoover appointed van Kleeck to President Harding’s Conference on Unemployment. Following the conference, van Kleeck continued to investigate the causes of unemployment and the means to prevent it as a member of the Standing Committee of the Conference and Sub-Committee on the Business Cycle. In 1922 van Kleeck introduced a uniform method for calculating periodic statistics for employment at the Labor Law Administration Conference held in Milford, Pennsylvania. At the Department of Industrial Studies at the Russell Sage Foundation, Mary van Kleeck expanded her studies of workers’ rights and the role of employee representation in the workplace. After a careful examination of John D. Rockefeller’s method of employee representation in the Colorado coal mines, reported in Employees’ Representation in Coal Mines, a Study of the Industrial Representation Plan of the Colorado Fuel and Iron Company in 1924, van Kleeck concluded that this method of employee-employer relations only partially protected workers. While working and living conditions had improved in the Rockefeller plan, employees still lacked the power to influence many workplace decisions. Van Kleeck believed that when workers participated more actively in the management of the organization, efficiency increased and labor was more productive. In addition to her own research at the Russell Sage Foundation, van Kleeck supervised several significant studies, including those of the Dutchess Bleachery, the Filene Store, the Rock Island Arsenal, and the Rocky Mountain Fuel Company. Mary van Kleeck continued to fight for the rights of women workers during the 1920s, speaking on the role of women wage earners at both the 1923 and 1926 American Women’s Conference on Industrial Problems, sponsored by the Department of Labor’s Women’s Bureau. The 1926 Conference erupted in controversy when representatives from the National Woman’s Party protested their exclusion from the conference program. As an advocate of workers’ rights, van Kleeck disagreed with champions of women’s rights who supported the proposed Equal Rights Amendment, fearing that it would interfere with the special protections she had helped enact for female workers. Van Kleeck and New York Women’s Trade Union League member Mabel Leslie sparred with the equal rights legislation supporters in a special session held at the 1926 Conference. Van Kleeck spent much of her time traveling across the country and even the world, researching, lecturing, and addressing a wide variety of audiences. She served on the Board of Trustees at her alma mater from 1922 to 1930, and worked for Al Smith’s campaign for president in 1928. In 1929 van Kleeck accepted an appointment to Hoover’s Law Enforcement and Observance Commission to investigate the relationship between unemployment and inadequate housing and crime in urban areas. She also promoted social and economic planning, serving from 1928 to 1948 as associate director of the International Industrial Relations Institute (known as IRI), an organization dedicated to the investigation of industrial relations as well as a place for industry to exchange ideas and improve working conditions for workers. In addition to examining economic policies in the United States, van Kleeck also traveled to Europe and the Soviet Union, spending six weeks exploring labor conditions in the U.S.S.R. in 1932. She supported the Soviets’ economic policies of collective ownership and industrial planning and spent much of the next two decades praising Soviet society. In spite of conflicts between the two nations following World War II, van Kleeck remained an advocate of Soviet socialism and encouraged Russian-American co-existence. 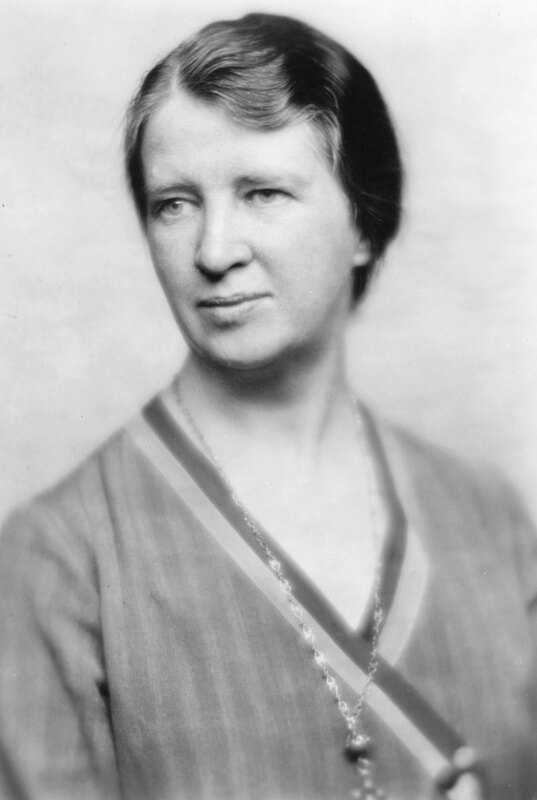 Mary van Kleeck fought hard for social insurance legislation during the 1930s. In 1931 she and fellow members of the Taylor Society’s Industrial Code Committee advocated a minimum living wage, a shorter work day and week, and unemployment insurance for industry in the United States. Van Kleeck blamed the economic depression on the lack of coordination between supply and demand as well as inadequate care for laborers. She supported the Wagner Employment Bill, which created the United States Employment Service, and worked on a New York state unemployment survey that helped connect the unemployed with businesses needing employees. While van Kleeck worked hard with government officials to bring about legislative remedies to economic problems, she did not hesitate to criticize government policies when she disagreed with them. She resigned from the Labor Department’s Federal Advisory Committee of the United States Employment Service in August 1933 after one day, citing her objections to New Deal policies that she believed interfered with workers’ right to strike. In addition to working through government to promote social change, Mary van Kleeck served on the committees and boards of secular and religious humanitarian organizations such as the Church League for Industrial Democracy; the Episcopal League for Social Action; and Hospites, a refugee relocation organization that provided employment and financial assistance for social workers fleeing Nazi Germany in the 1930s. A lifelong Episcopalian, van Kleeck hoped that introducing Christian values into the workplace would solve much of industry’s problems. Mary van Kleeck believed that she had a Christian duty to promote social change and that churches and church-based organizations should play a role in remediating struggles of the worker. Mary van Kleeck remained dedicated to the rights of workers in the mid-to-late 1930s. Concern for workers’ liberties led Mary van Kleeck to leadership roles in the American Civil Liberties Union (ACLU), where she served on the Board of Directors and several committees from 1935 until 1940 when a conflict with the board over membership requirements prompted her to resign. A big supporter of trade unions, strikes and labor parties, she participated in a variety of ACLU activities, including opposing oaths of allegiance by schoolteachers in the mid 1930s. In 1934 van Kleeck continued to pursue her interest in the status of mine workers, publishing Miners and Management: A Study of the Collective Agreement between the United Mine Workers of America and the Rocky Mountain Fuel Company. Van Kleeck registered with the American Labor Party in 1936, impressed by its commitment to the protection of civil liberties and advocacy of social and economic planning. That same year, van Kleeck published Creative America: Its Resources for Social Security, a treatise emphasizing the need for socio-economic planning in the U.S. In 1939 she fought the deportation of Frank Borisch, secretary of the National Miners’ Union who was convicted of belonging to an organization that advocated the overthrow of the government. Mary van Kleeck opposed the United States’ entry into World War II, believing that the conflict was an imperialist endeavor. Once it became clear that the United States would participate, however, van Kleeck urged women’s participation at all levels of government administration. She also advocated an expansion of the social security program. She believed that post-war peace plans must include a worldwide defense of human rights. Mary van Kleeck spent the rest of the decade encouraging community organization, nuclear disarmament, and the peacetime use of atomic energy. In 1944 she co-authored with Mary F. Fleddérus, Technology and Livelihood, a report of the effect of technological innovations on employment and standards of living from World War I to the early 1940s. In this report, van Kleeck maintained that innovation did not always improve one’s livelihood; in fact, increased efficiency often increased unemployment or underemployment. Therefore, she supported unions and welfare funds as a necessity to gain and maintain decent standards of living for workers. In 1948, after her retirement, she supported Henry A. Wallace’s campaign for president and unsuccessfully ran for the New York State Senate as the American Labor Party candidate. Because of her interactions with various organizations that had been declared subversive by the Attorney General Herbert Brownell, Jr., she was subpoenaed by Joseph McCarthy’s Senate Permanent Subcommittee on Investigations of the Committee on Government Operations in 1953 and was denied a visa several times in the 1950s. Mary van Kleeck spent the last few decades of her life out of the public sphere with her close friend and colleague, Mary L. Fleddérus. Mary van Kleeck died on June 8, 1972, in Kingston, New York, of heart failure while undergoing surgery for a broken hip. Source: Mary van Kleeck Papers in the Sophia Smith Collection at Smith College Northampton, MA 01063. This entry was written by Kara M. McClurken for the Sophia Smith Collection. Link to: http://asteria.fivecolleges.edu/findaids/sophiasmith/mnsss150_main.html. I enjoyed the article.Actually, I am a relative of Mary VanKleeck. My Grandmother Retta Baum (VanKleeck) would visit Mary during the summertime in Kingston New York.